as we pass them—are they family ? looks like a Romany…). But like us ? is that what the man is saying? or the for the whole night ? We can’t say. like on the beach at Marazion. 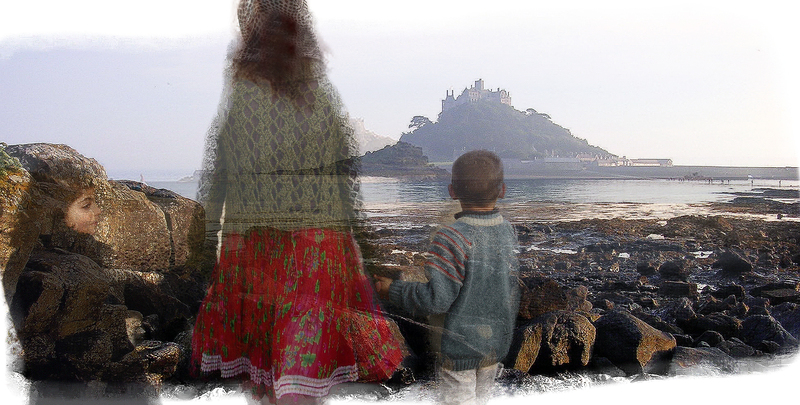 This entry was posted on 27 August, 2015 in homepage and tagged Claire Palmer, fantasy, Gypsies, humanity, immigrants, Jay Ramsay, Marazion, mirage, safety, St Michaels Mount. Bookmark the permalink.